2016 Best of Home Care "Leader in Excellence"
Senior Helpers is a leading provider of quality, compassionate, in-home care and assistance for the elderly. With offices located throughout the country and around the world, we provide a comprehensive range of services to help facilitate comfortable and independent in-home living. 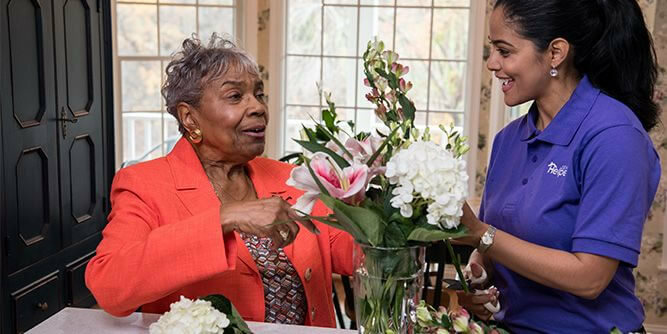 Whether your loved one is in need of a little assistance around the house or full-time supervision and care, Senior Helpers is there to provide you care and comfort at a moment’s notice. 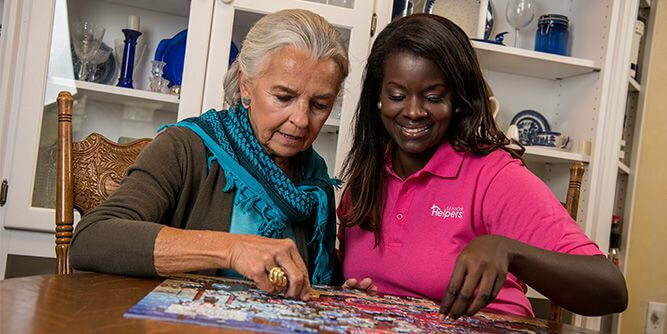 As a franchisee of Senior Helpers you get the best of both worlds: a chance to make a positive impact in your community as well as live out your dreams of business ownership. Becoming your own boss has never been easier or more fulfilling when you open a franchise with Senior Helpers. 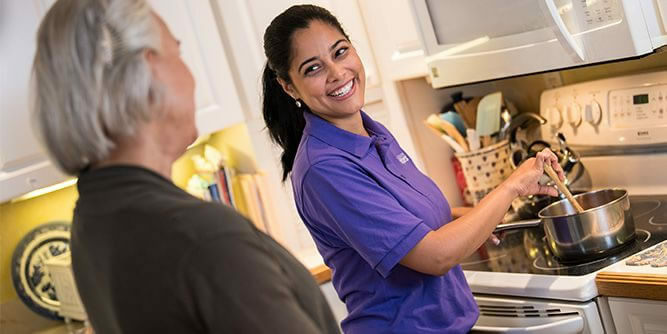 Senior Helpers is the only home care Franchise endorsed by the Alzheimer’s Foundation of America, for our award-winning Program in Alzheimer’s & Dementia care. Senior Helpers is the only home care Franchise with a Parkinson’s Care program, that is endorsed by Michael J. Fox and National Parkinson’s Foundations. Multi-Year recognition by Home Care Pulse for being Best of Home Care. Team of proven support professionals at corporate with a system that works and a leadership team with over 100+ years of experience in franchising. Senior Helpers CEO and Co-founder Peter Ross is the President of the Home Care Association of America, the leading trade association for the home care industry. Online University that consists of over 600 training courses. 10 Day initial training for new Franchisees. Opportunity with Recognized Focus on U.S. Military Veterans and First Responders. Senior Helpers has a strategic staffing relationship with Glenner Town Square, which is a unique daycare concept serving Alzheimer's and Dementia patients. Senior Helpers is the only home care company selected to join the Healthcare Leadership Council, which is an organization for transforming our nation's healthcare system. 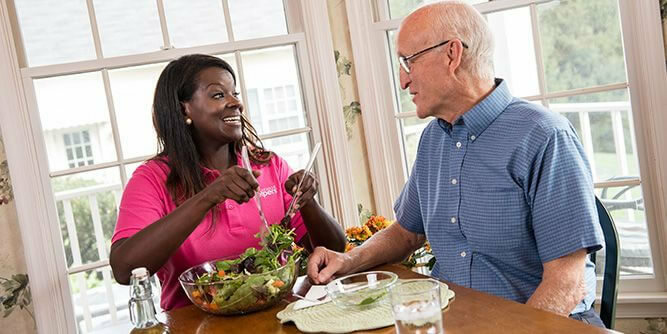 A growing population of the world is made up of senior citizens in need of quality in-home care. In America senior demographics will grow by 25% over the next 10 years. According to the World Health Organization (WHO), nearly a quarter of the world’s population (2 billion people) will be 60 years or older by 2050 and nearly 20% of them will be 85 years old. The United Nations has released a “World Population Aging” report which states that the rate of growth in people over the age of 80 is expected to be about 2% ever year. This means that the market for senior care businesses will continue expanding. Our Discovery Process is designed to give you a complete evaluation of Senior Helpers while we consider you in becoming part of the Senior Helpers family. A good fit is important to us in strengthening our brand and for you to find the right elder care franchise opportunity. 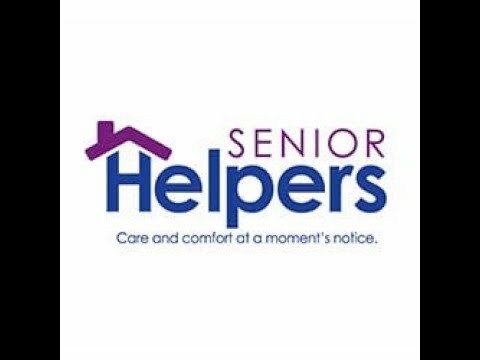 We here at Senior Helpers take pride in our work and share core values to ensure a level of excellence unmatched in our industry. Here is what you can expect as you move through the process of becoming an owner of a Senior Helpers franchise.